The prevalence, volume, rate, and sophistication of targeted threats are increasing at an alarming rate. As the stakes are raised for criminals and as companies react to attacks, the enterprise threat landscape is pushed forward. Malicious actors are evolving their methodologies, finding vulnerabilities in companies’ security defenses, and increasingly, they are exploiting the domain name system (DNS) to launch cyberattacks. DNS, and recursive DNS in particular, is the perfect cyber attack target because it is ubiquitous, open, and often unprotected. Explore more about why DNS is exploited, why this is an urgent problem, what it means for your business, and why securing this attack vector is difficult. 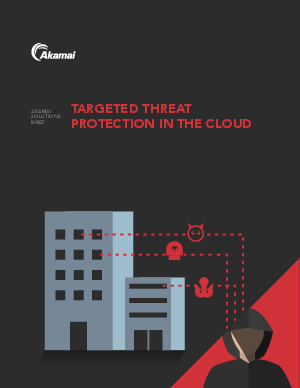 Then examine how Akamai Enterprise Threat Protector can help you to proactively protect your company with an additional layer of cloud-based security – all backed by our carrier-grade Intelligent Platform, real-time intelligence from Akamai’s Cloud Security Intelligence, extensive DNS domain knowledge, 100% availability SLA, and proven AnswerX service.